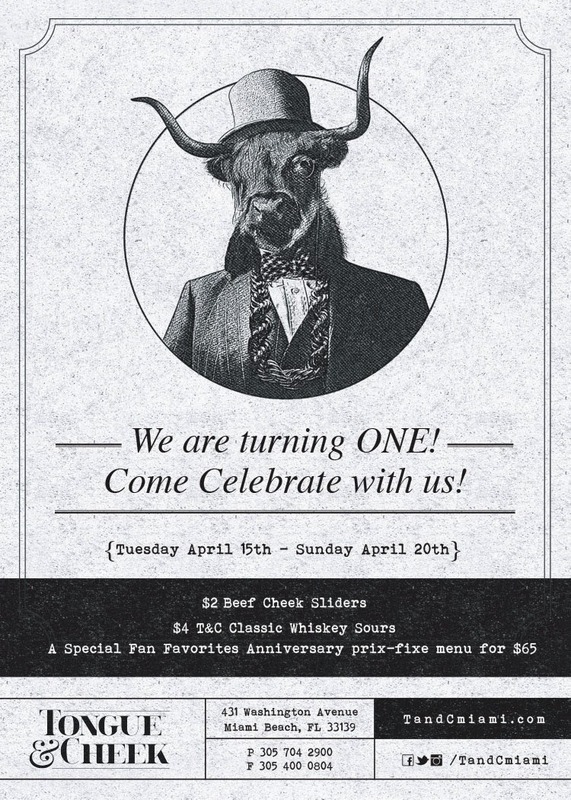 Tongue & Cheek is turning one and Chef DeRosa is throwing a party all week to celebrate. The delicious Beef Cheek Sliders are $2.00 and can be washed down with $4.00 Whiskey Sours. Chef DeRosa is also preparing a special tasting menu featuring his year one favorites for $65.00.